How Can I Go Nauti Paws Pet Boutique & Bakery? 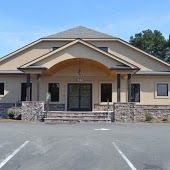 Where is Nauti Paws Pet Boutique & Bakery in New Bern on the Map? Came into the store looking for a collar and a retractable leash. Everyone there was helpful and really nice to deal with. Sadly, they did not have exactly what I was looking for and their prices seemed a tad much. The young lady advised me to try Pet Smart near Walmart. I did, and got what I needed for about 50% less than Nauti Paws. Nice place though. Expect warm friendly service, valuable information, and respect as staff work to find the best product for your pets needs. Exciting events that build relationships for your pet and social time for their owners. Nauti Paws is a passionate small business in a beautiful location, with fresh water for your dog. My dog, Barney, and I love to go shopping in Nauti Paws. The staff is very friendly and let us browse to our heart's content. I like the fact that you never pressured. They also carry healthy dog food - no additives.